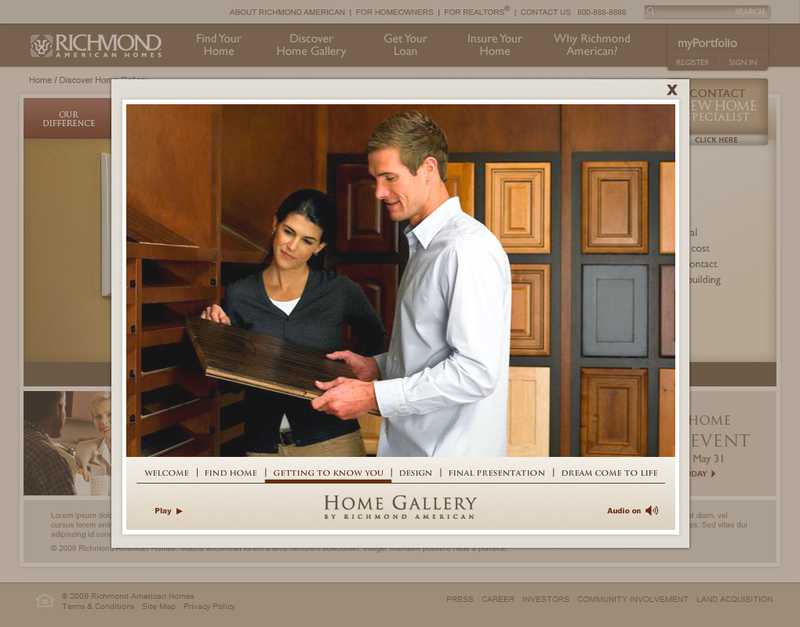 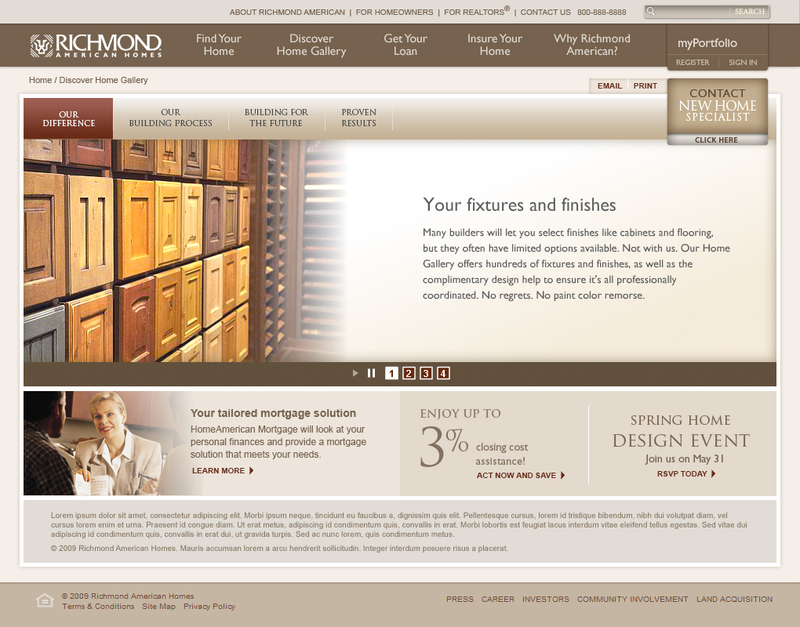 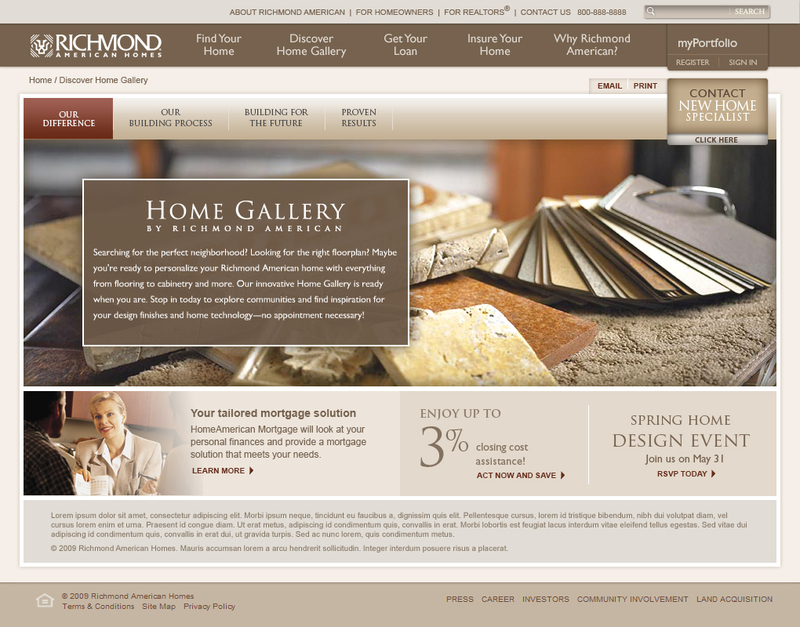 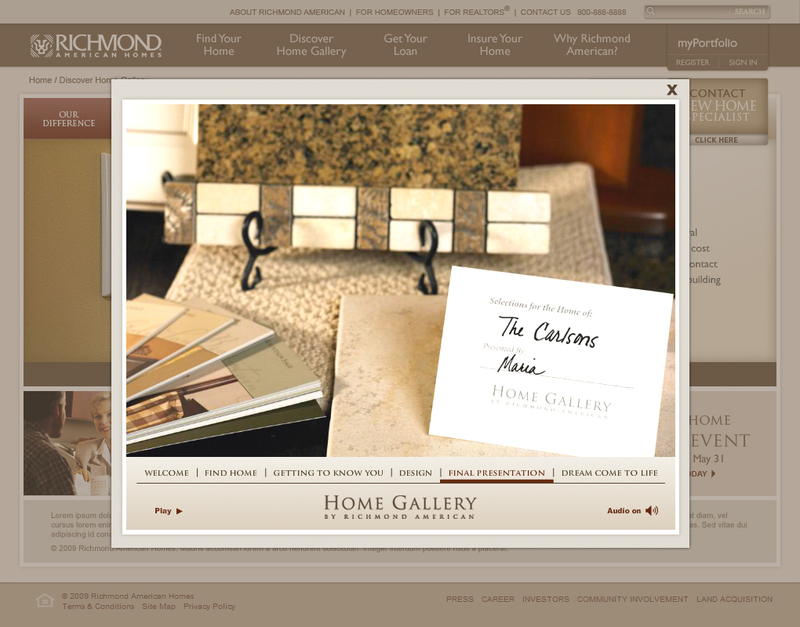 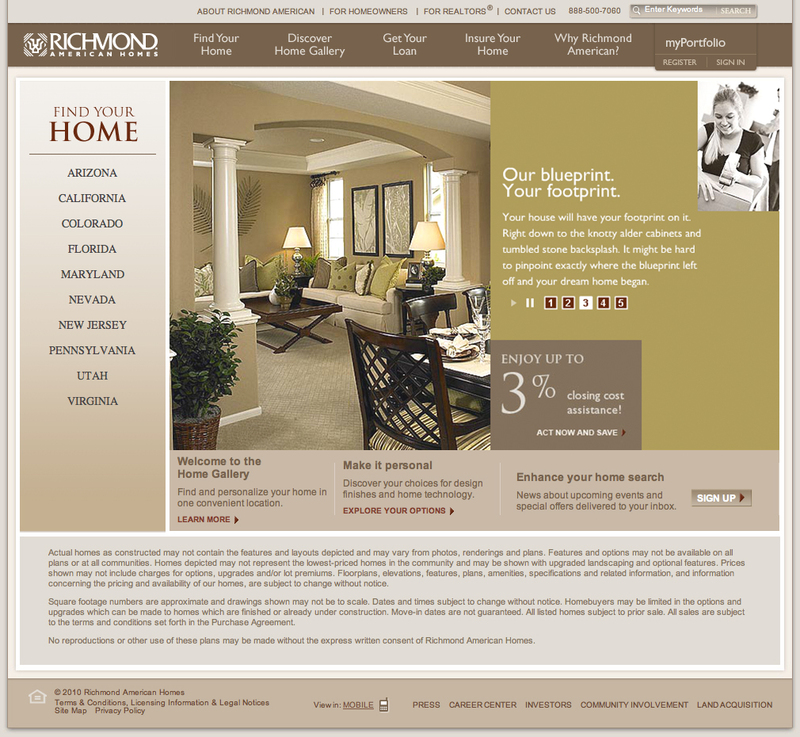 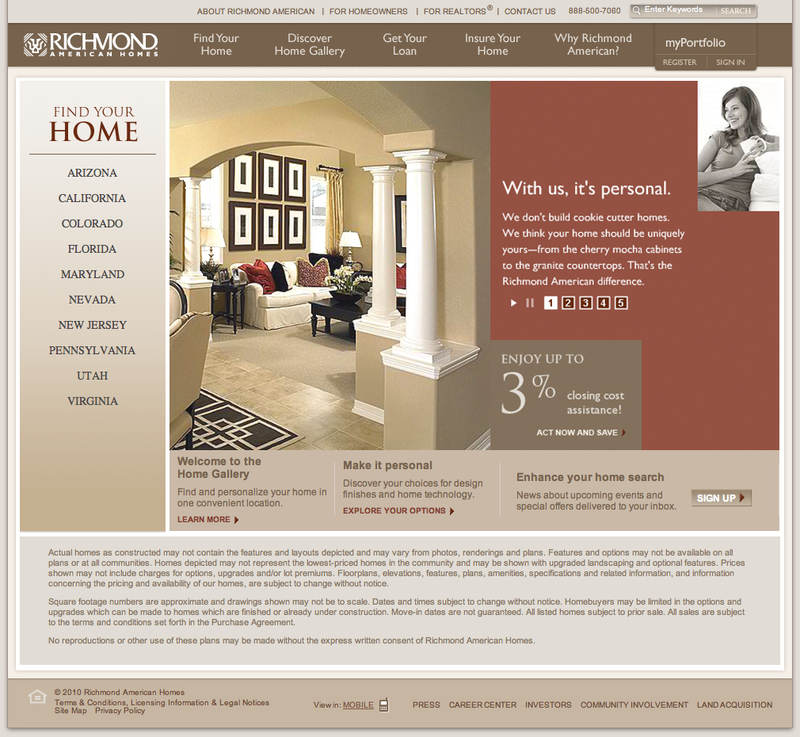 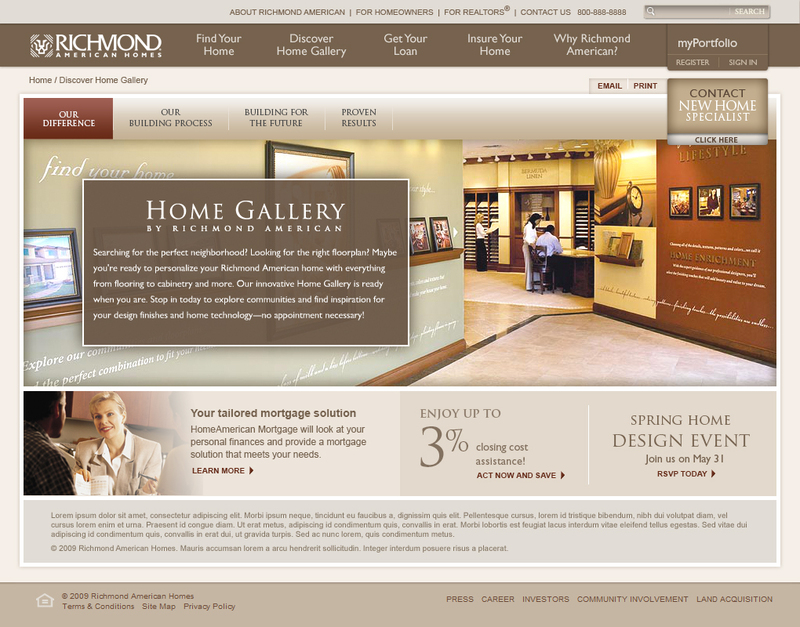 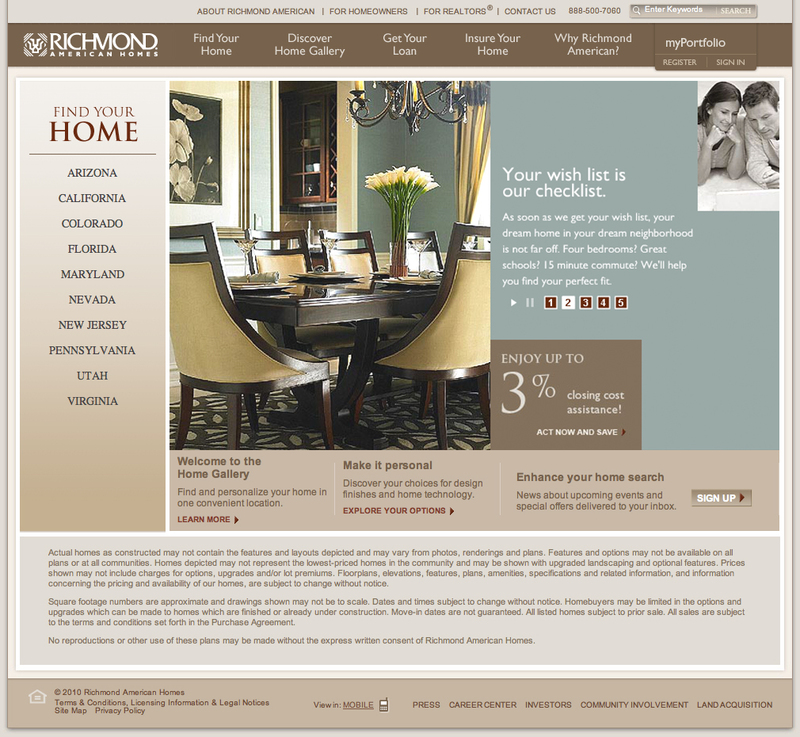 Richmond American Homes was a complete site redesign project. 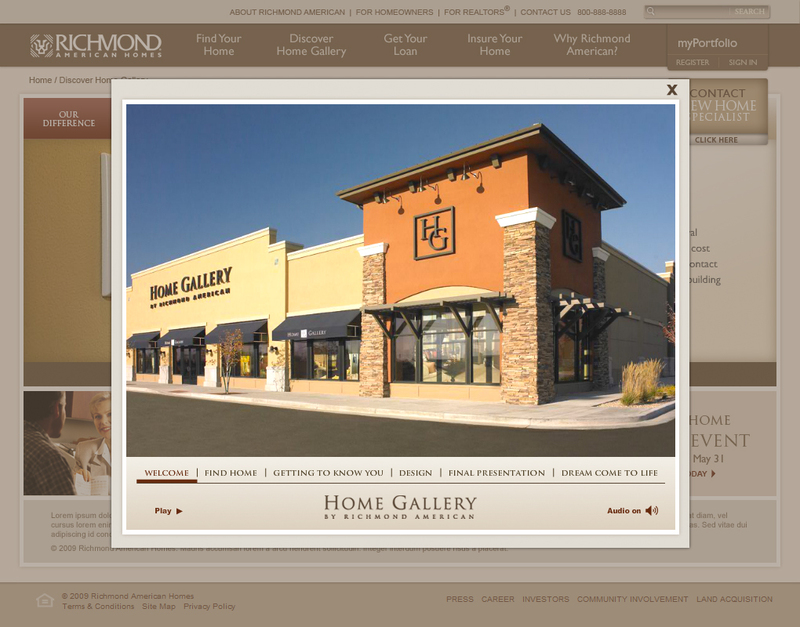 There are various photo galleries throughout the site. 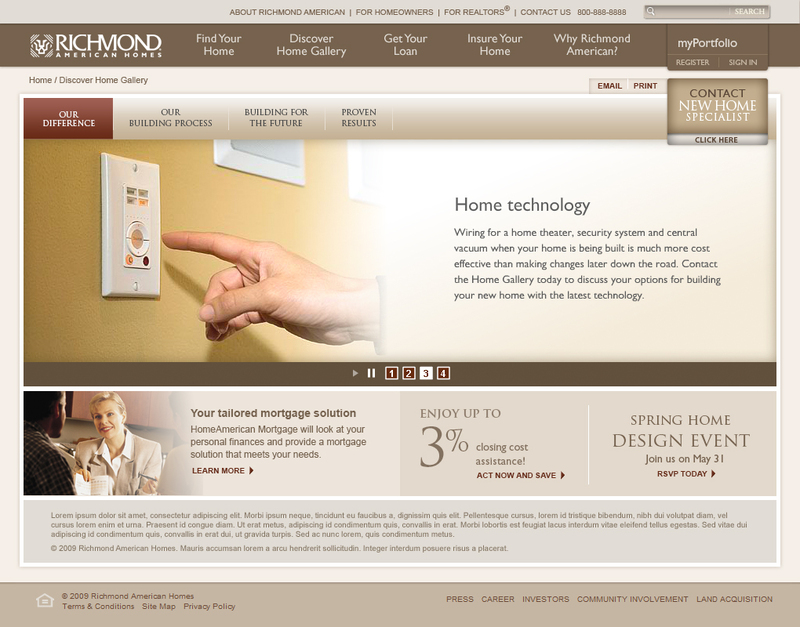 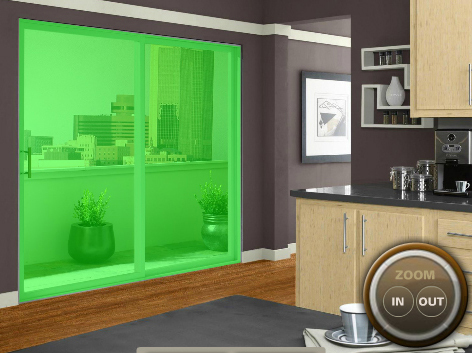 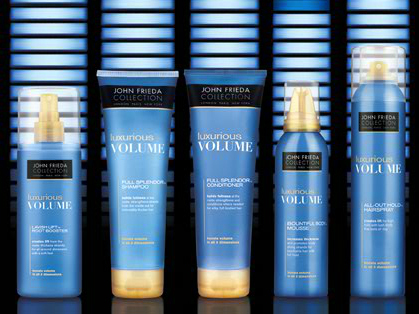 Although similar they have slightly different configurations such as dimensions, content, color, or gallery controller.